My name is Arhan Bakan, and this is my Ludum Dare 30 entry. 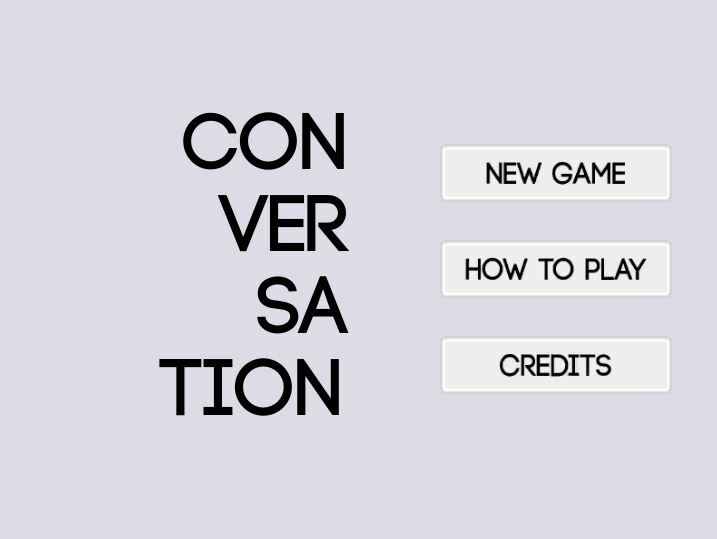 "Conversation" is a game about a few characters and the ongoing conversations between them. "Connected Worlds" theme fits when conversations are considered as connections between two different characters. Clicking and holding the left mouse button on a character starts a conversation with the closest character on the scene. This will be marked with a conversation line. During a conversation characters will slowly get closer. 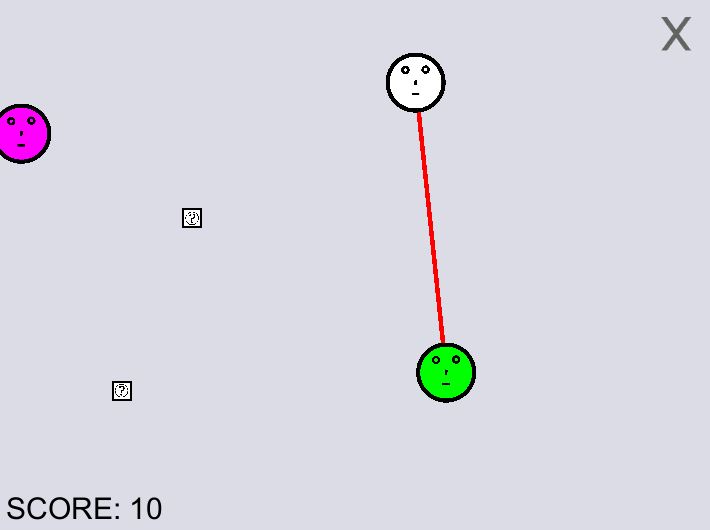 You can also rotate both characters by moving your mouse left or right. Releasing the mouse button will stop the conversation. You will see some conversation topics (question marks) flying around. 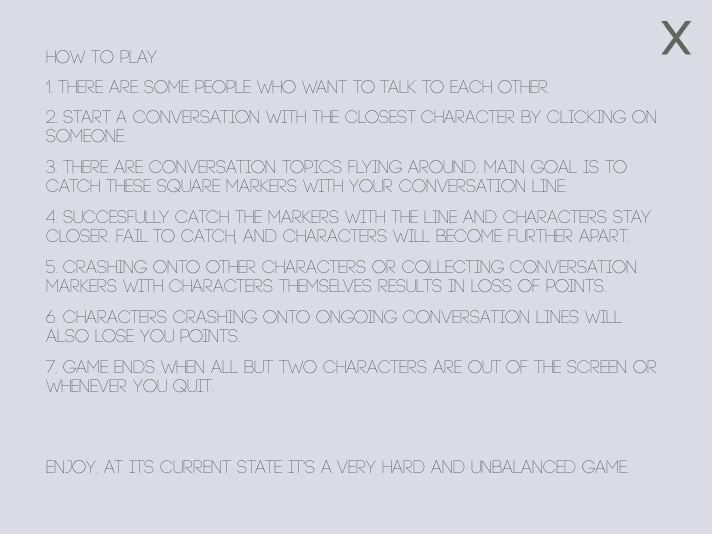 Your GOAL is to collect these conversation topics with the conversation lines between characters. 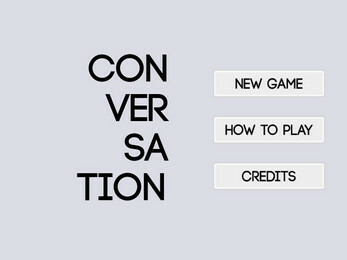 Collecting a conversation topic with a conversation line will result in a successful conversation, the conversation line will turn green and the characters will stay still when they end that conversation. This will give you points. 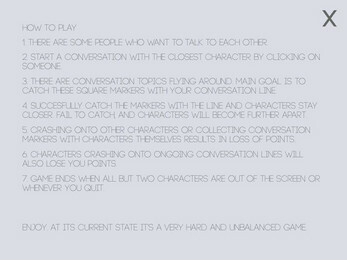 Failing to collect a conversation topic means that characters will repel each other when they end that conversation. They will slowly back away from each other. Characters crashing onto each other, characters crashing into other conversation lines or characters crashing into conversation topics will yield negative points. Game ends when all but two characters go out of the screen and get removed from the game. This will rarely happen so you can say that the game has no clear goal or no clear end condition. 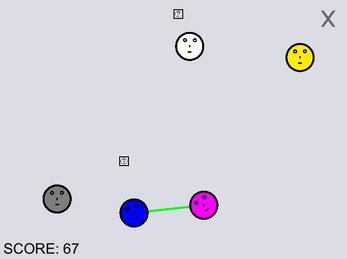 At its current state it's a very hard and imbalanced game, but try to enjoy it anyway!